Now there is a safe, legal and convenient method to dispose of small quantities of household bulbs and batteries at a number of participating businesses throughout the county. The Bulb and Battery Take-Back Program is designed to encourage Marin County residents to properly recycle their used household batteries, compact fluorescent lamps, and fluorescent tubes – free of charge – at convenient retail locations. Residents can simply drop these items off on their way to replace spent items. Batteries and fluorescent bulbs are considered household hazardous waste because they contain toxic heavy metals and have corrosive properties. They can pose a serious threat to public health when combined with household garbage and have been banned from disposal at all landfills statewide. This program is designed for Marin County residents only. 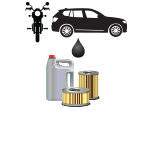 Businesses should continue to dispose of their hazardous waste at the hazardous waste facilities in San Rafael or Novato. 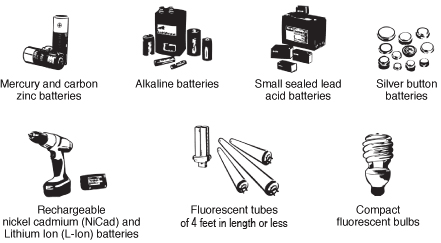 Large quantities of bulbs and batteries should be delivered to the Marin Household Hazardous Waste Facility at Marin Sanitary Service in San Rafael; please call (415) 485-6806 for more information. Novato residents and businesses should take bulbs and batteries to the Novato Recycling and Buyback Center or the Novato Household Hazardous Waste Facility. Visit our Recycling Guide to find more disposal options for many other everyday items.